The Alimony Reform Bill isn’t dead quite yet. Legislators are removing the retroactive component and trying to override the Governor’s veto. 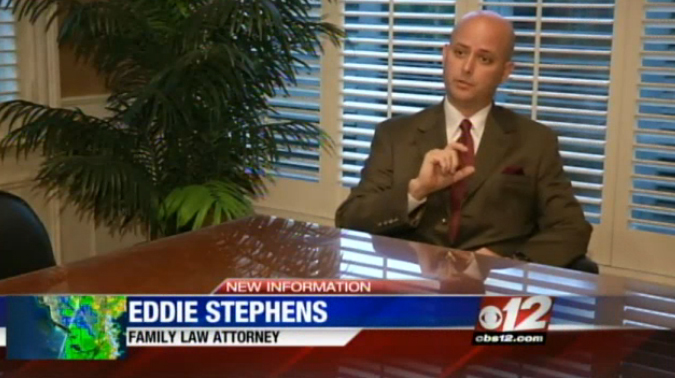 CBS 12 News reporter Chuck Weber spoke to Eddie Stephens about how the bill will drastically alter divorce cases if it becomes law. Click here for news update. SB 718 was refiled as SB 1210 without the retroactive application. Click here to follow this bill.